Who wants to start off their week with MORE MONEY!?! In addition to the 200% Deposit Bonus , we will also run $50 starting Monday Money Madness from 5pm-7pm and 10pm - midnight EST in the Quarter Room! Don't miss the $100 fixed jackpots alternating with PJP games 8pm-10pm EST. Wednesday is Bullseye Day! The mini plus, mini t, bullseye and small x pattern will each have a fixed jackpot of $75! Watch those whales if they get too close you will get wet! When you see a bingo on "N-33" yell out "FREE WILLY" and you win entry for a cool EOM prize. Our great Hosts will be randomly asking Trivia questions throughout the day answer correctly and win not only 20bbs but an entry for a great EOM prize!!!!! It’s your last chance to buy tickets! Play in the Summer Sizzler bingo game this Thursday 15 July at 20:15 and win £3,000! Add a little mayhem to your day! Playing daily on 5 pence cards with £20 pots. An amazing THREE JACKPOTS in each game! With the last JP in the game being a Progressive JP. Jackpot starts at £17 and grows by £17 until its won!! Balls to JP also increase by 1 each game! This is a MUST GO Guaranteed Jackpot! Just watch it grow and grow until its won. Each day they pick up where they left off the day before! Don't be afraid of the dark! Enjoy Blackout patterns playing every hour with minimum pots and a Jackpot up for grabs. Get ready for our Daily Delights everyday! Join us daily for an hour of BOGOF. Buy one bingo card and get another one absolutely FREE. Max cards 100. Visit website for more from "The Men of the Law" promotions ending July 20th. Whenever a cop needs to ask someone some questions, he flashes his badge to let people know he's serious. Nothing commands more respect than an officer's badge! Between July 18th and July 20th, the Penny bingo room will offer sessions including only Coverall games with the same amazing prizes regular coverall offers, but with the distinct feature that you will be able to play them for a complete hour every day, from 7:00 to 8:00 pm EST, for 3 complete days! This Room now features a Progressive Jackpot! 5–DAY PASS: Make a deposit on Tuesday and play from Wednesday through Sunday. 4–DAY PASS: Deposit on Wednesday and play from Thursday through Sunday. » This room shows up any moment to members that have a deposit on file during Tuesday and/or Wednesday! Join in the Free Bingo fun in our V*ROOM open daily at 6pm. To gain EXCLUSIVE access, just spend £5 on Bingo tickets, and the following day The V*ROOM will automatically open for you! Our current 90-ball Progressive Jackpot is approaching £100,000, and from every day from 1st July, we're increasing the ball calls required by one every day, until it's won! Visit the site for all daily specials. Help out the BingoStreet Lollipop lady! Bingo the most on the Letter L pattern during the week to win £20 bingo funds! The player who wagers the most on bingo each day during the week but doesn’t win will enjoy a £5 bingo funds to try their luck again! Use your loaf and bingo away on the Letter B pattern. The top 13 bingoers during the week win 3000 joy points each! Experience the thrill of winning up to $4,300 in cash and BBs at the Slots Tourneys! The rollercoaster sure is one of the most exciting rides in an amusement park, with its incredible speed and irregular tracks providing a dose of adrenaline that makes you want to come back for more every time. Well, fortunately, the Vic's Bingo rollercoaster does not feature a height restriction, so feel free to join for an amazing ride full of rewards! Join the Quarter bingo room and get ready to climb your way to the top, because it's time for some ladder games, worth up to $375 per game! Wednesday, July 27th: from 6:00 PM to 7:00 PM EST. Be sure to be there at the specified dates and hours, because we they feature some special games starting at $5 and each call will add another $5 to the pot! Take this chance now! Win and enjoy! Yep, you heard right, if you don’t win at bingo, Gala Bingo will refund you in CASH! If all your bingo tickets lose in any of the qualifying Monday games you will be refunded the following day in CASH – not bingo funds. Check the site for game schedules. Play in the £1M Coverall games three times a week - Wednesday's and Friday's at 10PM and Saturday's at 9.30PM. Check the site for game schedule. Calling all movie buffs! From 25th July to 31st July the Irish themed Clover Rollover slot homes a fantastic £40 Odeon gift voucher! Lucky 10 highest winners in this slot game can unwind at the best multiplex hall. This movie voucher is available for players who stake minimum £5. Plus, you will be thrilled to know that this game bears one of the highest progressive jackpot! Currently the pot glows bright with £774,228! You just have to line up five lucky Shamock symbol to flick the giant jackpot. BINGO BREAK BONANZA CONTINUES THIS WEEK AND ALL MONTH. Join Yahoo Bingo daily in the Bingo Party Live as the Bingo Break Bonanza continues. They've still go loads of fabulous prizes to be won and at 15p a ticket you can't really go wrong. Get your last minute tickets for the Alaska Cruise game! incredible cruise to Alaska and £2,000 worth of spending money! Get on the Vics-Bingo rollercoaster and enjoy the thrills and spins of this bingo ride while you play for Progressive Jackpot games, Cover Alls, weekly specials, $40 fixed bingo games and a special fixed dancing game of $25 to $60. Hurry up! The ride begins at 6 pm and finishes at 11 pm EST! Even a child could participate and enjoy these specials because they’re as easy as counting 1, 2, 3! Join us from 6 pm to 11pm for a fantastic time and win $35 fixed prize bingo games, Cover Alls, weekly specials and monthly contests among other bingo games! Get out of the storm and pick up some prizes along the way before the Vics-Bingo Tornado swirls them all away! Every Thursday from 6 pm to 11 pm spinning around you will be 1, 2 and 3 part bingo games with progressive online bingo jackpots! Fixed prizes from $25 to $90, Cover Alls, Monthly Tournaments and Weekly Special bingo games…In the eye of the storm you will find calm and win big prizes!!!! When it's Wednesday at PartyBingo, that means its Wins-day! So join us in the Bingo Royale room where all the games start with a base prize of £40 - 1 line: £5, 2 lines: £10, Full House: £25. Plus, bingo in 48 calls or less and scoop an extra £100 cash prize! Join them on Thursday evenings in the Disco Divas room where we drop the card price in ALL games to just 5 pence! And what's more, they give you 6 FREE cards, with every 6 you buy! Plus when you bingo in 43 calls or less we give you an extra £666 jackpot! Spin the Wheel of Destiny! A mysterious Wheel of Destiny has appeared at Sun Bingo for all to play! 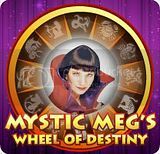 Spin the wheel for Free every day of the week and your efforts could be rewarded with Free Spins to play on Mystic Meg slots. No day at the pool is complete without a nice game of Marco Polo! You’re “it”, so get in the pool with all your friends, put on your blindfold and start having some good old fashioned fun! Join our Dollar room between August 8th and August 10th, because from 7:00 PM until 10:00 PM EST we will feature 3 hidden prizes of $400 each, one per day. Trust your senses and try to find these hidden surprises, since they will be included as regular games, and you will only be able to see them once the game starts! It’s so hot these days, so how about some dips in the pool for some BBS? In the Dollar Room, between 6 PM and 8 PM EST, on Wednesday, August 10thwe will have a pool installed by CM Happy! The first 2 rows of numbers (B and I) and the last 2 (G and O) are the pool sides, where you can get tanned and in between we have the pool. Pick one number from whichever side of the pool you like more and when that number is out jump in the pool by saying “Diving+your number+(P)”. Note: (P) is the Palm Tree icon. First 3 roomies to do so will win 15 BBS. Good luck roomies! Don’t forget your bathing suit! The Blazing Summer Video Slots Tourney is coming up soon, so get ready to Be Wild! and adventurous as our slots will take you anywhere you ever dreamed of! The Top 10 Players to win the most on selected video slots between August 8th and August 22nd, will be awarded with up to $1,000 in cash... so Spin, Spin, Spin, for that Big Fat Win! Good Luck! Vic's Bingo - USA OK! - If you win the most games on the first day of the promo, August 15th,they will award your account with a $500 bonus! - Most games won on the second day, August 16th, they will reward you with a special $300 bonus and a 300% bonus on your next deposit! - The third day, August 17th will bring the winner of the most games an amazing $200 bonus and a 250% bonus on the next 2 deposits! *There is no need to submit any game numbers. **Final prizes will be credited on Monday, August 22nd. ***You can claim the deposit bonus until August 24th. New Bingo Billy - USA OK! Pick 8 numbers from 1 to 75 and send these along with your alias via help ticket to participate! Once your lotto numbers are received your lotto begins!!! You are trying to collect as many if not all of your lotto numbers! When you or someone else bingos on one of your lotto numbers then record that game id and the number bingo’d on. You must also be playing in that game as well with a purchase min of 4 cards! You must also have a current deposit in the past 7 days to be eligible for any prize claim! The Lotto starts at 8:00pm ET so your lotto submission must be in by 8pm ET on Mondays if you want to play in this session. If you send in your 8 lotto picks after that time; it will NOT count for tonight’s game but will count for next Monday’s session. After you have collected your lotto numbers send in a help ticket with the game ids and your lotto number bingo’d on. NO LATE CLAIMS PAST THIS TIME WILL BE ACCEPTED. Fabulous prizes up for grabs including GHDs and shopping vouchers to name a few. Each week you could win a range of Cheeky prizes in the 75 ball rooms! Check out the newsletter and Facebook page for further info as prizes and days will change each week. They like to keep you on ya toes! Get a mid week pick me up right here on Cheeky Bingo! Every Wednesday they're opening the bar between 8-11pm, and during this time if you bingo on the Mojito, Cosmopolitan or Long Island Ice Tea patterns you will enter a draw to win a hamper full of goodies! Every Thursday between 8-10pm in Naughty but Nice, Cheeky Points and other fabulous prizes HAVE to be won! All you need to do is win bingo, pick a number between 1-75 and see what lies behind it, because they're full of Cheeky surprises! Every Thursday there are 10 cash-packed games with £5,000 in Guaranteed Prizes. Put Thursday Nights in your diary for fantastic prizes and huge guaranteed pots! At the end of each Bingo game in 75 ball bingo and at the end of each full house in 90 ball bingo, the colour of your best card will be used to determine which colour you receive a point for. Special Note: A player may only win in one category. In the event that the same player wins first place in more than one category, they will receive the bonus for only the best category they win in. Thursday nights are BIG BINGO nights! Settle down to play between 9pm-10pm in the Bingo Café, as they’ve got £5,000 Guaranteed to giveaway. The £5,000 is split into 10 x £500 prizes. There are five x 90-Ball games and five x 75-Ball games where you could win £500 each! Start playing this Thursday for MASSIVE Guaranteed pots! Bingo Café room between 9pm-10pm. 50p per ticket. Don't forget if you can't make it you can pre-buy your tickets now.The pre-buy tickets are called "Guaranteed +" and "75 Ball Guaranteed +"
They've stuffed £25,000 in their juicy Giant Strawberry, so make sure you take a bite today! Play brand new game Lucky Numbers and you could win 250 Joy Points! Films & friends go together. Spoil a friend EVERY Wed @ 9:30pm in our £30 for 1p room! Hit our £200 West End Room every other Thursday @ 8:30pm; tickets cost only 50p! • Schedule: Room opens EVERYDAY!!! Chat Room with Host during Special Schedule. • Restrictions: Room opens to depositing members only. • Comments: This is our most popular room! • This Week’s Special: Bingo on B10 and open a ticket to claim 10 BBS! It plays on last part only! Tonight is the night of the eagerly anticipated Summer Beach Party. The good news is that you're on the guest list, they've even saved you a deckchair! Join them from 7 - 12 pm in any of the hosted rooms (BingBling, Bubblegum or Millionaire) to be part of this sizzling event. Dress for the occasion (hula skrits, Hawaiian shirts etc) and celebrate in style to be in with a chance of winning one of the fantastic Live Win Moment cash prizes. They are also offering some great rewards for the best beach party themed Avatars! The new weekly promotion Tuesday Tunesday continues tomorrow. Join them in the Bubblegum room from 9pm to be part of the fun. The format is simple and fun with the chat host playing the intro to a well-known song and players having to guess the artist or band. The first player to guess correctly wins a bonus. For you karaoke stars, they also offer a fantastic prize for the best sing-along Live Win Moment. Deposit today for the chance to win a £50 IKEA voucher! Yes, that's right - they will raffle one player to win a £50 worth IKEA voucher TODAY! 20 lucky depositors will win an EXTRA £5 on on top of the huge welcome bonus! Play the $10,000 Coverall game everyday this week! Check the site for game schedules. Out of the Ball Park! You hold on tight to the baseball bat, but not too stiffly. The pitcher is in front of you, and you're trying to figure out what shot he's going to throw your way. The fate of the game rests on you, the ball starts flying towards you, and you hit it out of the ball park! Outdo yourself by joining the High Rollers bingo room, because on Monday, August 29th, Tuesday, August 30th and Wednesday, August 31st, between 4:00 PM and 5:00 PM EST get ready for the famous reverse coverall games, that can reach up to $3,000! The prize for the first 45 calls is $300, but from the 46th, it will be raised by an additional $90, so come play and make your wildest dreams come true! The ball is in your hands, you can hear the thundering sound of the enemy team coming to stop you, sweat runs down your forehead as you try to make it to the end zone... and you manage to score a touchdown! Get the same feeling of excitement this week by looking for the End Zone pattern in the Nickles and Fair & Square bingo rooms! Between August 26th and August 31st, winning the pattern 10 times in both rooms combined will grant you a great $200 bonus. All you need to do is send the set of the 10 winning game numbers to promotions@bingoformoney.com. *You can claim the bonus only once. **Final prizes will be credited on Monday, September 5th. Spend the day with these specials! They're cranking up the value we offer our Bingoheads with some spectacular 2p Treat Games every Tuesday at 20:00 UK Time in the Safari room. They've got a weekly game with super low ticket prices that can put you in the running for a great prize-pool. Every single Tuesday you can treat yourself to some super value with the special game. Tickets are an unbeatable price, costing just 2p each! And for your pennies you could bag a tasty share of the £100 prize-pool. Be the Super Star of the day and you’ll be the star of your own bingo show! ALL YOU HAVE TO DO IS PLAY BINGO! One player will be chosen each day to be the Super Star of the day. room, all bingo players in that room receive 1000 SPs. at 8pm in the Super Stars Room. 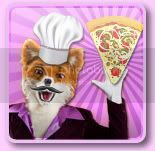 Domino's Pizza have given Foxy loads of £25 vouchers to use on their delicious pizzas and more! But there is only so much pizza a fox can eat! So he's giving you a Pizza the action. He's giving away loads of vouchers throughout September! Join them every night for our Nightly $500 Coveralls where you can take home a fabulous $500 EVERY NIGHT at 11pm! Each night they will increase the calls until there's a lucky winner, then they put a brand new $500 in the pot and the fun starts all over again! The top headline of this month says that the top jackpot of worth $2500 is awaiting for you on the Headline Slots Tourney! So, go grab your share before it's too late! Remain updated with latest headlines and reap the ravishing rewards worth $2,500 on our Headlines Slots Tourney from September 5 to September 28! Win £100 with our Free Games! Each week you could win a range of Cheeky prizes in our 75 ball rooms! Check out the newsletter and Facebook page for further info as prizes and days will change each week. They like to keep you on ya toes! All you need to do is win bingo, pick a number between 1-75 and see what lies behind it. Foxy has come up with a brand new Instant Win tourney for all you slots fans out there! It's called it Foxy's Prize Pool! There's over £10,000 in prizes to be won over the next 5 days! EVERY day for the next 5 days the top 7 players* with the biggest wins on my Instant Win games (based on wagers minus wins) will win a prize. That includes a top of the range laptop to the biggest winner each day! The top seven winners on the cumulative leaderboard on Friday 19th will compete for bigger prizes which include a home cinema system, including a HD LCD TV! All you have to do is keep winning to climb the daily leaderboard and get amongst the prizes! There are loads of games to choose from including the new progressive slots with jackpots up to £50,000 as well as some all time favourites including Bejewelled and Paradise Reels! So get playing now and you could get your hands on some crackin' prizes! Every Thursday join them for 2 hours of Free cash prizes. Starting at 10pm you will have the chance to play 20 free games paying $75 each. $1,500 in free cash prizes will go every Thursday. All you need is a deposit in the last 7 days to qualify for the free roll. Monday's are all about the Money! $50 starting jackpots run 5pm-midnight! Grab the crazy small eight, crazy just takes two, crazy barbell, and crazy missing one patterns to win! Who wants to start off their week with MORE MONEY!?! In addition to the 200% Deposit Bonus, they will also run $50 starting Monday Money Madness patterns from 5pm-7pm and 10pm - midnight EST in the Quarter Room! Don't miss the $100 fixed jackpots alternating with PJP games 8pm-10pm EST. Every day, Bucky Bingo players can win their share of up to £7,500 in online bingo prize money with the amazing networked Bingo Linx games.They play these extra special games at three set times throughout the day - check the table below to see when to join in and how much you could win! Top of the tourney continues through Sept 20th. Each week 5 Roomies will be chosen from the Bunker and crowned Roomies of the Week. As well as winning the coveted title, the Roomies will take away 50BBs each as a thank you for their contribution to chat! All you need to do is be a great conversationalist in our chat rooms, welcoming players and generally being pleasant and helpful. Our CM's vote after each of their shifts as to who has contributed most to chat and the votes will be counted and rewarded on Mondays. The Queen of Bingo's celebrating her Coronation with £50,000 in Bingo Royale guaranteed jackpots! Get even more for FREE! Play Show Us Your Balls this week and you could win £100 for free with this great promo! Every day at the Top of Every Hour Our Alphabet Soup Letters will play in Maxis H.O.B and Goldline rooms. Each time you win An Alphabet Soup Letter it will be added to your Alphabet Soup Dish..
Join us every night for our Nightly $500 Coveralls where you can take home a fabulous $500 EVERY NIGHT at 11pm! Each night we will increase the calls until we have a lucky winner, then we put a brand new $500 in the pot and the fun starts all over again! Win a Caribbean Cruise for two worth a whopping £3,000. Make sure you play Treasure Hunt Bingo every night in the Bingo Party Live. With two games an hour between 8pm and 9pm you’ll have double the chance of bagging some pirate booty. There's thousands up for grabs this week, and the top players can double their prize money! Joining up to Sing Bingo is simple and you can start playing free games 24/7 - no deposit required! Choose from 6 free bingo rooms with guaranteed jackpots up to £50 running all day everyday! So what are you waiting for? Get into the swing and join Sing Bingo today! Grab your seat and crank up the sound because Mondays are your ticket to huge surprise jackpots hourly from 6 p.m. and 2 a.m. All Movie Projector, Popcorn, Chair and "The Blob" game patterns will have an initial jackpot of $15.00 and will have an extra 15% payout!. Furthermore due to player's acceptance, South Beach Bingo will play nothing but Progressive games, with the exception of our regular Coverall's and Tournament Games. Kick back and be a kid again Tuesdays! Every Tuesday on all Jack-in-the Box, Teetor-Totter and Kite game patterns between 6 p.m. and 2 a.m., we will tip the pots in your favor by adding 50% more to the jackpot. We will also play nothing but $100 Jackpot games with the exception of these Specials, regular Coverall's, Regular Progressive Patterns and Tournament Games. South Beach Bingo will help you get over the mid week hump with exciting bonuses. Which way will you go between 6 p.m. and 2 a.m.? On all Crazy Arrow, Up Arrow, Up and Down Arrow and Right Arrow game patterns the pots will go higher and lower with each call to help you decide! ($75 to $100 guaranteed Jackpot). We will also play nothing but $20 Initial Jackpot games with the exception of these Specials, regular Coverall's, Regular Progressive Patterns and Tournament Games. Every Thursday between 6 p.m. and 2 a.m. South Beach Bingo will let you wager who wins this classic race of the tortoise and the hare and see who gets to the finish line first. On all Turtle, Rabbit Ears, Fox and Crazy Outside Line game patterns there will be $25 initial jackpot. Fun-packed Mondays are always bound to surprise you with awesome bonuses! Deposits under $100 get a bonus of 250%, while depositing $100 or more will get you a 410% bonus. Deposit $300 or more and you will be the lucky winner of a 500% bonus! Enjoy Vic's Special Tuesdays and go for the top bonus of the day to keep you going through the week! Deposits between $25 and $75 will get you a 220% bonus, while depositing between $75 and $99 will land you a 290% bonus. Deposits between $100 and $199 qualify for a 350% bonus, while if you deposit $200 or more you will receive a fantastic 420% bonus! Guaranteed prize money in Rush Hour Bingo! Every day, Bucky Bingo players can win their share of up to £7,500 in online bingo prize money with the amazing networked Bingo Linx games. They play these extra special games at three set times throughout the day - check the table below to see when to join in and how much you could win! Dream bingo is going bingo crazy! If you buy one ticket between Noon & Midnight on Monday, they'll give you another absolutely free! That doubles your chance of winning instantly! Play BOGOF Mondays in all rooms and wipeout those Monday Blues! Every Wednesday they’re giving you the chance to win fantastic prizes! Play the special prize games or join in the Bingo chat tournaments in Day Dreamer between 20:00 and 21:00 (BST) to win anything from gift vouchers to iPads. Challenge your fellow roomies in the ultimate clever clogs showdown, the Dream Pub Quiz. Play along every Thursday from 20:00 BST in Day Dreamer and win fab prizes and tons of Bbz! Between 17 and 23 October we’re going down a dark, dark path to a dark, dark house! This week get ready to walk away with the spooky spoils in our frighteningly fun-filled tribute to Britain’s most haunted house… check it out - if you dare…. Make sure you login and join us in the Free Bingo Room between 9am and 9pm today. We have a massive 12 hour marathon of frantic and totally free bingo. You won't have to spend a single penny! You can play for Free and still win real cash! Don't forget - every Monday at XBingo is guaranteed to be happy, since we pay at least £50 for every jackpot in both our Fairy Delight and Golden Galaxy rooms! Come and join the fun between 6pm and 10pm this evening to take part! Play on Da Vinci Diamonds anytime before 12 Midnight tonight and we'll DOUBLE any single spin win of £250 or more! Even more reason to have a Happy Monday! Get ready for a Perfect Slots Slush on Super Flash Casino Tournaments! Unfold the rich layers of splendor on the Slots Slush tournaments and revel in the precious rewards worth $7,000 from within! This October, BingoFlash is featuring 7 different slot tournaments on 7 different slot games!